Continuing research into the atomic-structure of protons, neutrons, and electrons has led to even more infinitesimal particles of matter being discovered. 6 negatively charged Electrons (yellow) orbiting around the Nucleus. 6 positively charged Protons (red). 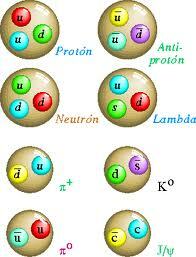 6 Neutrons possessing no charge (white). 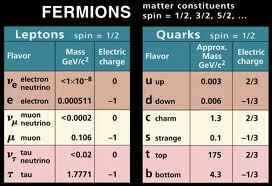 Leptons, Quarks, Bosons, Mesons, Baryons, And Even Smaller! 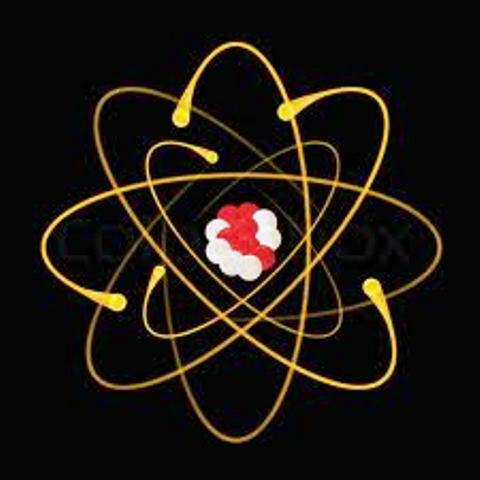 As soon as the basic atomic-structure of an atom had been established (see our page titled inside-an-atom) researchers were immediately confronted with a number of paradoxes. Up to then the Theory Of Electromagnetism had been based on the ancient premise, observed from magnetic interactions, that "opposites attract" and "likes repel". This of course immediately raises the question of what was preventing the "negatively charged" electrons of atoms from permanently attaching themselves to the "positively charged" protons in the nucleus of the atom instead of just orbiting around them? This led to the discovery in 1964 by physicists Murray Gell-Mann and George Zweig of a variety of sub-atomic particles inside protons which were named Quarks. These were found to exert forces which counteracted the known forces of electromagnetism, holding the electrons in orbit and preventing them from attaching themselves to the protons in the nucleus. "Quarks combine to form composite particles called hadrons, the most stable of which are protons and neutrons, the components of atomic nuclei." 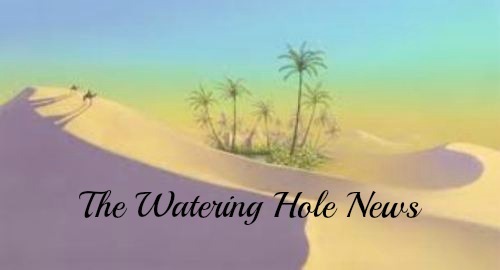 With continuing research, ever more infinitesimal particles of matter are being discovered. We must remember that, on the quantum scale, we are dealing with particles that are too minute be visually observed, even by the most powerful microscopes. In fact, discussing the research into the predicted “Higgs Boson”, the particular Boson believed to be responsible for matter possessing mass, one scientist explained: “We are looking for particles so small we are not even sure they exist”! Many of these smaller sub-atomic particles have been discovered, or predicted, and labeled awaiting discovery. 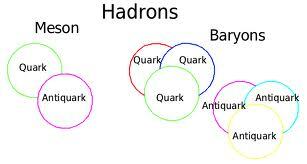 They have been categorized and grouped under the headings of Leptons, Quarks, Bosons, Mesons, and Baryons. We are learning ever more of the building blocks our Creator uses to both create and sustain all life-and-matter! To facilitate in this research an enormous 27 km long underground Hadron Collidor has been built and commissioned in Cern, Switzerland. 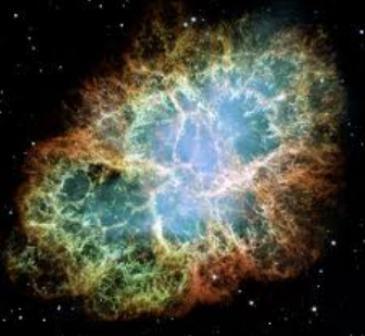 It is believed that resent research has already born fruit towards identifying the elusive Higgs Boson believed to be the particle that imbues matter with mass. Fermions are usually associated with matter, commonly defined as anything that has both mass and volume , whereas Bosons are generally force carrier particles; although at present the specific distinction between these two concepts is not clear. Paradoxically, after all we have discovered regarding atomic-structure, the force we are most obviously continuously aware of, namely Gravity, remains a complete mystery to science - even to this day! The unseen particles that speculatively exert the dynamic forces that govern the behaviour of matter, are termed gravitons. Even if we ever do manage to explain and understand all of these particles constituting the structure of an atom, the question will always remain – what are these infinitely minute components of an atom made of? This brings us back to where we started – asking what-is-matter?